Autumn is here and with it the season pond harvesting. Fishing festival is planned on the occasion of harvesting Municky pond. 25th March (Good Friday) will start Sport Fishing at pond Jaderny. Fishing permits to this ground are already on sale. Spring is coming and with it the spring season pond harvesting. Planned catches: pond Belohurecky on 1. - 2. 3. 2016 pond Zvolenov on 10. - 11. 3. 2016. 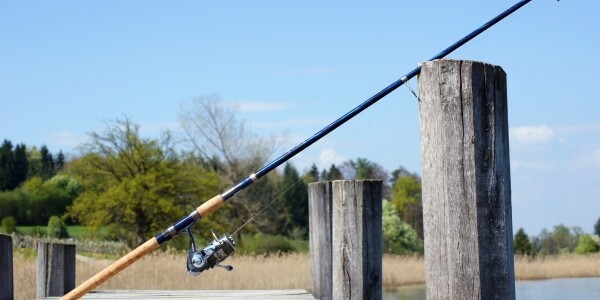 1st March will start Sport Fishing at ponds Podevrazsky, Mydlovarsky and Bezdryvka. Fishing permits to those grounds are already on sale. The main activity is breeding of freshwater fish. The company manages 137 ponds, it is about 2 552 ha. 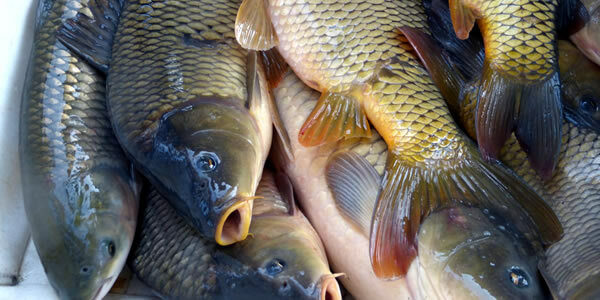 Annual production of our company is about 1 300 tons of fish, including carp, 85% (50% and 50% bare scaly), the remaining 15% are secondary fish (grass carp, silver carp, perch, pike, bream, tench, ...). The traditional place where you can be sure of fresh fish, the fishing ponds. Rybarstvi Hluboka cz. s.r.o. 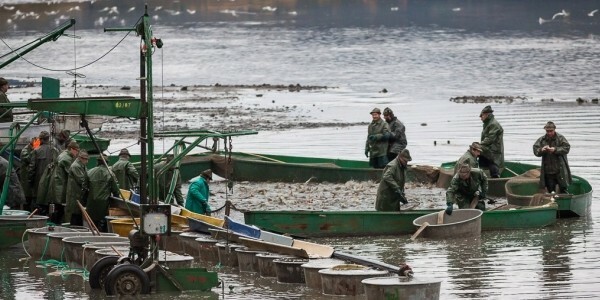 offers year-round sale of live fish at Tyrsova 681, Hluboká. Our company organizes sport fishing in four different ponds. Jaderny Pond (24 hectares) is located 9 km from Hluboka nad Vltavou, near the village of Zliv. It’s a top-class pond which is accessible all around its circumference and is surrounded by an access driveway. 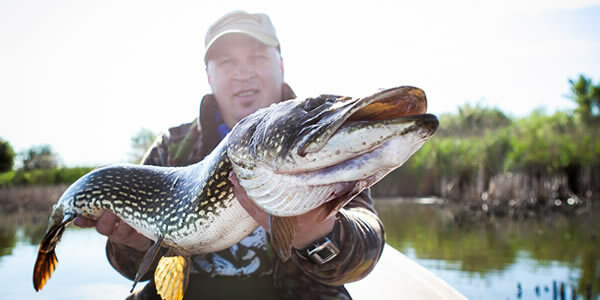 Other fishing grounds for sport fishing are Podevrazsky pond with an area of 3.24 hectares, Mydlovarsky pond with an area of 34 ha and Bezdryvka pond with an area of 7.6 hectares. The hunting grounds of Rybarstvi Hluboka cz. s.r.o. are situated in the scenic foothills of the Bohemian Forest in the area surrouding the Dehtář Pond at the rim of the Ceske Budejovice (Budweis) Basin. The hunting grounds have a total area of 513 hectares and include arable lands, meadows, pastures, forest soils and water areas. Rybarstvi Hluboka cz. s.r.o. performs gamekeeping for the purpose of commercial shooting of waterfowl game birds. The attractiveness of hunting is elevated by farming of mallards at ponds Novy by Cakov, Zbehov and Posmech. The animals hunted in these grounds are as follows: Red Fox, Carrion Crow, Common Magpie, Great Cormorant, Common Wood Pigeon, geese, Eurasian Coot, Mallard, Common Pochard and Tufted Duck. A company named Rybarsti Hluboka a.s. was established in 1994. The company owned and managed 2 660 hectares of ponds and apart from traditional fish farming, it performed sport fishing on three fishing grounds. 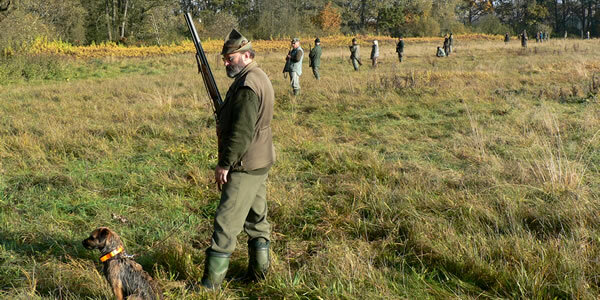 Moreover, the company organized gamekeeping in its own two hunting grounds. In 2008 Rybarstvi Hluboka a.s. was transformed into a new company - Rybarstvi Hluboka cz. s.r.o. Rybarstvi Hluboka cz. s.r.o. has followed in the footsteps of the tradition of fish farming. 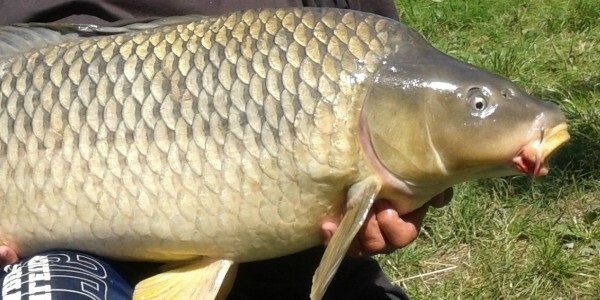 It manages 2 552 hectares of ponds and belongs among the largest producers of freshwater fish in the Czech Republic. Gamekeeping and sport fishing in the company’s hunting and fishing grounds are popular and economically important activities. A huge success has been achieved by signing a contract to be a "Prague Castle Contractor".